The Xactrol® Mark III control valve uses a series of stacked discs to dissipate damaging energy upstream of critical internal sealing surfaces. 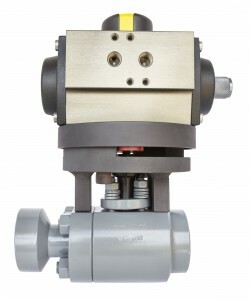 The Mark III is designed for high ΔP liquid applications where cavitation and flashing are a concern and for high ΔP gaseous applications where fluid is flowing at sonic velocity. Applications include: boiler feed pump re-circulation and bypass.